Larger audiences mean higher bid competition, higher bid competition means maximum revenue. We do all of the design work and setup to create a custom auction website for your business. Your website is kept up-to-date with the latest mobile and web browser technologies leaving you free to focus on your business. Professional SEO features are incorporated into every website to build search engine traffic. Simple, easy to use item input and management system. Our system is designed to help even inexperienced users add new items, information, and pictures quickly. Personal consulting support from our Estate Liquidator experienced in online auction sales. We are committed to helping you get your online auction website making money quickly. 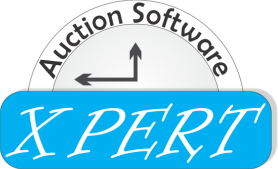 Auction bids are updated in real time creating an exciting bid process that encourages higher bids. Website visitors can easily find items and track what they have bid on. Winning bidders are automatically notified when the auction ends. This auction site runs like a machine with no hick ups....both my customers and I win because we both receive higher returns.